Distributing Lamaze nursery products for almost 10 years Baby Brands Direct is very excited to add to its collection of 40+ lines with this season’s latest 6 arrivals. Foremost the mini Dino teether is a favourite amongst the team as whilst it provides excellent functionality through its large tail textured teether to soothe little gums, it’s also a sizable toy to grab measuring 21cm from head to tail. The gender neutral first dinosaur boasts a big friendly smile, its has crinkle material, satin patches, a felt fin, little feet and satin tags to the head. There is so much visual and tactile engagement alongside a squeaker head and rattle sounds for further auditory pleasure. This is surely a teething discomfort distractor and soother making it a must have retailer listing! 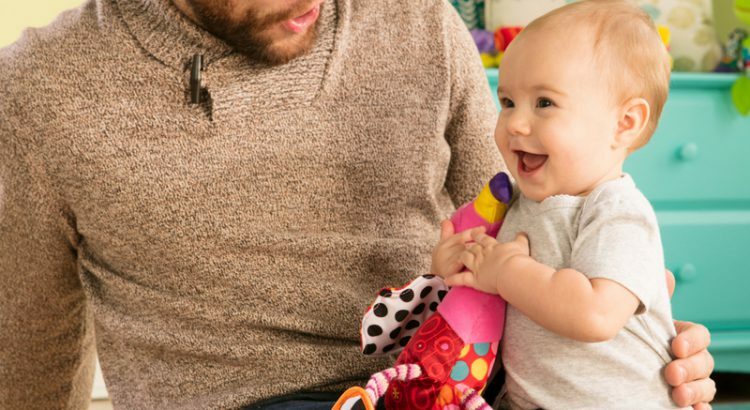 Butterflies are also ever popular in the nursery and the colourful Lamaze mini butterfly teether offers equal attributes to the Dino teether and together they provide a great duo to offer. 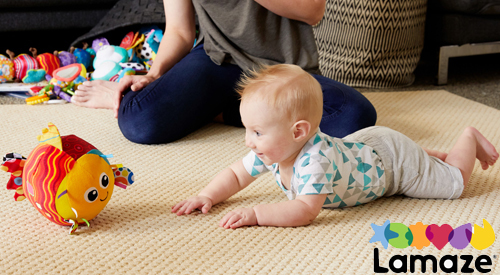 The new Lamaze Hatching Henry is quite a sizeable toy measuring around 20cm and makes for a gorgeous gift in its neutral colours and a lovely parent-child toy with its simple peek-a-boo game of lifting the hatch to see Henry. However, its so much more than this and will surely lead to squeals of laughter with the cute sounds its makes at the hatch goes up, more than this, it’s a game as the 50th lift give a new special sound! Of course being a Lamaze toy it sports all the tactile and visual stimulation synonymous with the brand. Similarly so does Rolling Rosa, who has been additional selected for its unique properties of encouraging baby to crawl. Designed so that when thrown the toy always lands with her smile facing up, it encourages baby’s engagement and sense to follow and retrieve it. The lovely fish design is pretty, neutral and makes for an ideal gift and place in the toy chest. 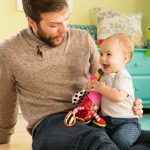 Within the baby linkable loop toy category, Lamaze is of course a leader, and the new A/W 2018 additions are testament to their capabilities. 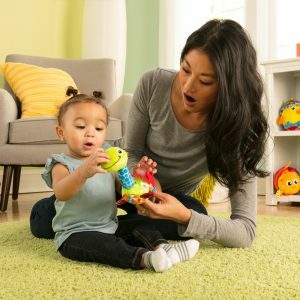 Lamaze nursery products have a strong brand identity and well-designed age appropriate toys that deliver real interest and learning opportunities. Their toys are very moderately priced for the value that they deliver and are a great offering for retailers especially within the nursery, pharmacy and gift industry. Baby Brands Direct is a specialist wholesaler to exclusively serving the independent trade and provide a quick dispatch service, alongside trade prices, volume discounts, loyalty credit scheme and more!